It is now acknowledged by most that the issue of access to medicines is not only a concern for developing and low-income countries, but a global challenge. The World Health Organization was tasked at its last annual assembly in May to draft a roadmap for access for the next five years. A preliminary draft of the roadmap was discussed last week with member states and stakeholders. The roadmap includes 10 priority activity areas, and a number of deliverables. WHO member states were consulted on the draft roadmap on 10-11 September. On 10 September, the WHO organised an informal discussion with stakeholders, who provided a range of comments to the draft. The Roadmap for access 2019-2023 “Zero draft” [pdf] was developed after member state consultations starting in July for the purposes of consulting with member states on its development, according to the WHO. An online survey was carried out from 9 July to 31 August. Some 56 countries answered the survey. Their contribution can be found here [pdf]. The draft roadmap lays out specific actions to address the fact that the current market model fails to deliver products for certain groups, such as children, and products with limited return on investment, such as new antibiotics, or drugs for neglected diseases for which there is little research financial incentive. Among those actions is the setting of priorities for health R&D, including finalising the global development and stewardship framework to combat antimicrobial resistance with the World Organization for Animal Health (OIE), and the United Nations Food and Agriculture Organization (FAO). Another action is to contribute to coordinated actions on health R&D, for example set up new R&D initiatives and support existing ones, including the Global Antibiotic Research and Development Partnership (GARDP). The WHO also suggests supporting improved capacity for R&D and clinical trials in countries. And the draft suggests the promotion of global and regional collaborations to increase price transparency and support to decision-making on pricing and reimbursement. The draft proposes to foster innovation and access to health products “by appropriate intellectual property rules and management.” In order to achieve this goal, the WHO suggests the development of best practices for licensing for publicly funded R&D results, including intellectual property. An appendix to the draft roadmap contains key resolutions of the World Health Assembly and regional committees from the past 10 years relevant to access to medicines. During the consultation last week, the WHO gave a presentation during the informal discussion with stakeholders. According to this presentation [pdf], member states provided a number of general comments on the potential roadmap for access for the period 2019 – 2023. Those comments included the expansion of the scope of the roadmap to other medical health products, such as in vitro diagnostics; highlighting the importance of local production; providing clarity on timelines and prioritisation of activities and their respective deliverables according to the greatest needs and potential impact. According to the presentation, activity areas with the most comments were preparedness for emergencies; fair pricing and financing policies; and the application and management of IP. 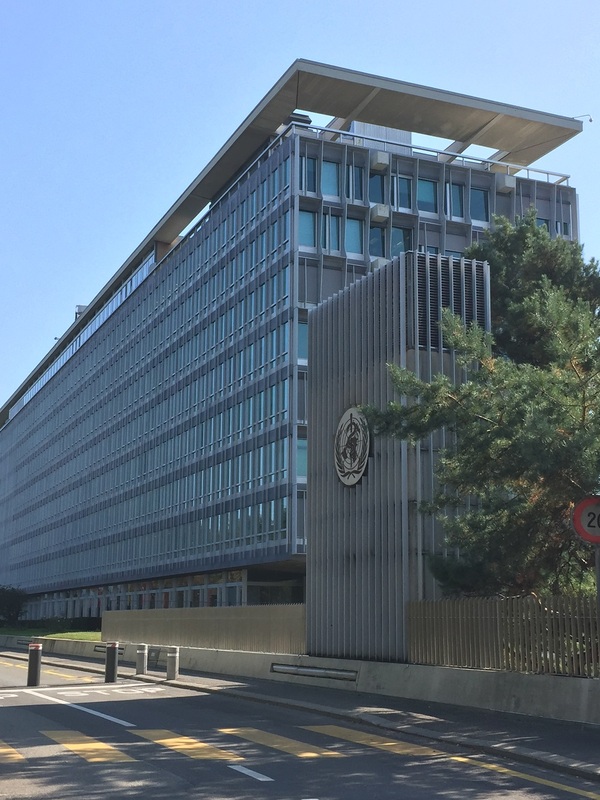 A revised draft roadmap is expected to be delivered in December, and will be submitted to the WHO Executive Board meeting in January, and to the WHA in May. A number of stakeholders provided comments to the draft roadmap. All comments can be found here [pdf]. Several comments under the stakeholder category, such as from the South Centre, Médecins Sans Frontières (MSF – Doctors Without Borders), and Knowledge Ecology International (KEI) with 15 other groups, asked that the recommendations of the United Nations Secretary General High Level Panel on Access to Medicines be taken into account in the roadmap. Among those recommendations, the South Centre asked that the WHO establish and maintain an accessible international database on prices of patented and generic medicines and biosimilars in the private and public sectors of all countries where they are registered. MSF asked that the High Level Panel recommendation to strengthen the capacity of patent examiners at both national and regional levels to apply rigorous public health-sensitive standards of patentability be taken into account. KEI and the 15 civil society groups said the WHO should follow the High Level Panel recommendation to convene a special session of the UN General Assembly on Access to Medicines and Vaccines in 2019. The co-signatories suggested operational language on transparency, excessive pricing, biologics drug competition, IP rights, and delinkage. The South Centre also criticised the approach to IP in the draft roadmap. IP management is not the role of WHO, they said, adding that the focus should be on the use of the TRIPS flexibilities. The centre offered to work in partnership with WHO to provide developing countries with training on the use of those flexibilities. Oxfam asked that the roadmap emphasise and clarify the role of WHO in bilateral and regional free trade agreements so that the WHO can warn against provisions that can have negative impact on public health. The WHO should also support countries facing pressure when implementing any TRIPS flexibilities, they said. The Drugs for Neglected Diseases initiative (DNDi) underlined the need to implement the principles of affordability, effectiveness, efficiency and equity of the Consultative Expert Working Group on Research and Development: Financing and Coordination (CEWG) to develop a code of principles for biomedical R&D. DNDi also suggested to support member states in the implementation of existing schemes which delink R&D costs from product prices and volume. They added that the roadmap does not reflect the importance of diagnostics or of the specific needs of children. MSF disputed the definition of fair pricing in the draft roadmap. Fair pricing is not about finding an algorithm that will mechanically give a fair price for each medicine, they said, but about the conditions of the price negotiations between public health and commercial interests to achieve a balance. MSF insisted on the need for transparency, in particular disclosure of public and private investments in a product’s development from basic research through its delivery to people. There is also a need to know about “real clinical benefits” of products compared to existing therapeutic options, it said. According to MSF, the roadmap weakens existing mandates given to the WHO through the global strategy on public health, innovation and intellectual property (GSPOA). KEI and the 15 groups called for transparency on the cost of R&D, clinical trials, the private sector expenditures on the development of products, and expenditures on marketing and revenues. The WHO should organise a series of regional workshops to share expertise and best practices on technical and practical aspects of compulsory licences and other topics, such as the ability for countries to “implement limitations on remedies for patent infringement,” the groups said. The International Federation of Pharmaceutical Manufacturers & Associations (IFPMA) underlined the importance of partnerships and said the engagement with the private sector is “largely missing” from the draft roadmap. IP remains the key incentive for continued health R&D, the IFPMA said in its comment, adding that the current IP-based model is successfully incentivising R&D. “The success of the current R&D model needs to be acknowledged in the Roadmap,” they said. The IFPMA also warned against WHO working outside of its mandate and areas of expertise, and “interpreting key treaties or decisions by other international organisations,” arguing that IP law is a complex matter needing to be tailored to individual countries. Pricing policies, they said, should be based on the therapeutic and societal value of a medicine and not on the cost-of-production. “Pricing policies, per se, do not effectively address affordability and should be viewed within this broader context of policies for sustainable access for patients,” according to the IFPMA comment. Disclosure of confidential discounts granted to countries would likely lead to lower access to medicines in countries that are benefitting from those discounts, the IFPMA said, adding that ensuring the confidentiality of net prices allow governments to get an optimal price arrangement tailored to the country’s needs. "WHO Releases Draft Roadmap For Access To Medicines; Comments Show Polarised Views" by Intellectual Property Watch is licensed under a Creative Commons Attribution-NonCommercial-ShareAlike 4.0 International License.